Congratulations to our New 2018-2019 Officers! and returning Treasurer - Jody Pillar. Thank you for your volunteer service. I wish you all the best in the coming year. Debra Benedict and I had a great site visit for the 4th Annual CASL Share 2 Learn Unconference at Scholastic Headquarters in Danbury. The Scholastic staff is incredible-- They are already setting up rooms for our small group discussions. For the 4th year, Scholastic is generously donating the grand prize for the door prize drawing. The winner will have the option of choosing $500 in print books or one year subscription to Science Flix--both terrific prizes. Space is limited to approx 125 attendees. Sign-up within the next couple of weeks to guarantee your spot. Don't forget you could win other prizes too... such as Keva Planks or a Finch Robot! 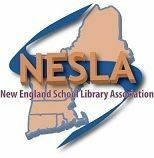 to invite legislators to your school library during this upcoming recess. invitations at the KQ blog: http://knowledgequest. Let's make sure all 100 Senators and 435 Representatives get an invite! their State Profiles page<https://www.imls.gov/grants/grants-state/state-profiles>, and read up about how IMLS funds are used in your state. Reminder! ALA's Public Programs Office is accepting applications for the 2017 Sara Jaffarian Award, a $5,000 award that recognizes outstanding humanities programming in K-8 schools. More info at www.ala.org/jaffarian. Applications are due May 5. CECA annually grants up to three awards that recognize excellence in the integration of technology into K - 12 classroom learning. The CECA Educator Award of $1,000 is given to any public or private school educator in Connecticut in recognition of work that has made use of technology to positively impact the learning of students. Teams or individuals may submit proposals. Their submission must clearly address at least one of the National Educational Technology Standards for Students. The learning can be in any domain (affective, cognitive, or motor), in any curriculum area, at any level in grades K-12. It may be aimed at the professional development of teachers if a clear link to improved learning of students can be shown. The work must clearly support CECA's Vision of: Promoting Effective 21st Century Educational Technologies for Connecticut. Click this link to learn more about the 4th Annual Share 2 Learn Unconference. Once you click on the link to register, you will be given the Pay Pal link upon submission of your registration form. What tips, tricks and tools are you interested in this Spring? Are you using VR or Cospaces to create 3D worlds? Do you have any spectacular plans for your summer reading kickoff? Are you involved with integrating STEM into the curriculum? Is your school Future Ready? Chime in here and let us know what is on your minds! The CASL board is busy planning several events for the spring. Awards season is here - nominate your colleagues for our awards listed on the Awards and Recognition page. Our Annual Spring Fling and Awards banquet is already in the works. It will be held at the Manor Inn in Plantsville this year. A new location in central Connecticut. We hope this will encourage you to attend. We will hold our Annual Meeting at this time. In additon, the 3rd Scholastic Unconference will be held on Saturday, May 6th. We are looking forward to learning with many of you!